Organizer is a simple, ready to use HVAC service management software used by Air-conditioned dealers to manage Service contracts, complaints, Invoice, Payment etc. It comes in various edition namely Basic, Standard, Enterprise and Custom to suit needs of individuals, small & medium business and corporates. With Organizer you can choose to store data on your pc/server or cloud, in both case you just pay monthly rental. 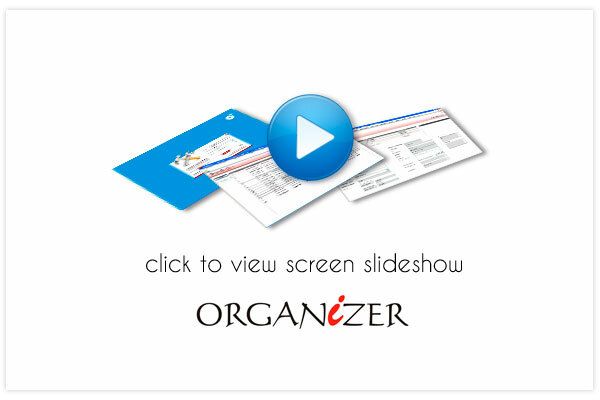 Organizer is available for free trial hence we would recommend you to experience the product first hand. Organizer screen with sample data to give you a quick glance of product with its features and functions .Screens include application, reports, export to excel options etc.